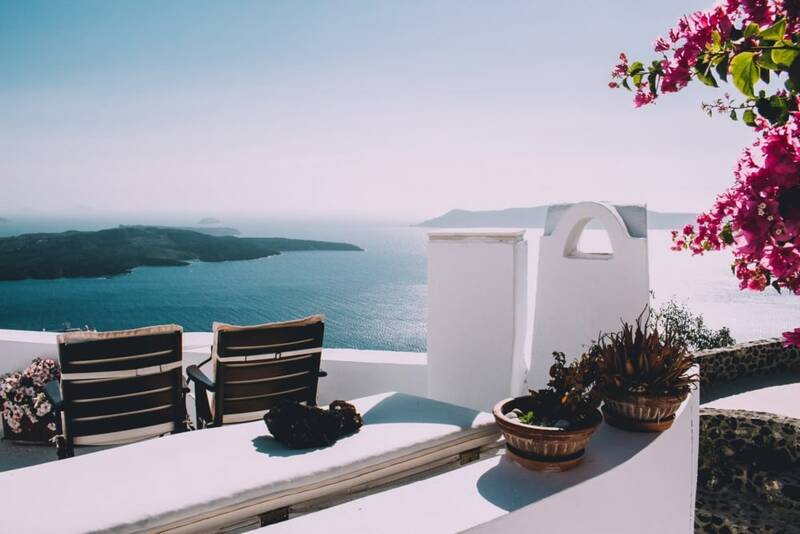 The Santorini Hotel enjoys a stunning location and views. On the cliff side, the 45 rooms have a stunning sea view and are equipped with a private terrace from which you can admire a breathtaking view. Have a relaxing time and the hotel's sublime pool. Between sky and sea, enjoy a breathtaking view while tanning from yout lounge chair. You can also enjoy a delicious cocktail delicately prepared by the care of our barmen and barmaid. Santorini offers one of the most striking natural spectacle of the Mediterranean. The only Cycladic island (with Milos, less spectacular) of volcanic origin, it is unlike any other. Its geology bears witness to one of the most violent eruptions of the last 10,000 years, which many believes that it is at the origin of Atlantis. The tidal wave created would have decimated the merchant and war fleets of the Minoan Empire, as well as a good part of the Cretan coastal cities. Our boat tours of the volcano of Santorini allow you to discover one of the most extraordinary phenomenon. A lunch break and swimming will offer you a moment of relaxation. Discover the famous and beautiful beach with red rocks and sand of the same color. A snack in included in the package organized by the hotel for an unforgettable lunch overlooking the sea. Stroll through the white houses from Fira to Oia and discover the magnificient chapel pictured on all the postcards! A 12 km course, a sporting moment that is worth it!